While the progress of your social media efforts can be observable, the old mantra still rings true: How can you tangibly assess social media value, gauge effectiveness and ROI? How can social media translate in sales and lead generation and when can one expect that to happen? Those are all viable expectations. The take-home lesson however is that Social Media Management requires commitment and patience. Modern times have left us with the impression that technology should shorten sales cycles. When it comes to social media, technology has placed you close to your ultimate consumer like never before, but with fewer barriers it has also left you vulnerable and more open to risk. Your success in terms of sales and rate of return on ad spent will strongly depend on your content and level of engagement over time. “It is not a bolt to be tightened into place but a seed to be planted” and if you embed social media into your corporate culture, you will soon notice how this seed will start greening the landscape around it. – Increased satisfaction, brand loyalty and awareness stemming from more efficient customer service. Get a feel for what your current or potential customers are saying as it happens. – Competitive insights, business intelligence and innovation through identifying similarities and differentiating features. Join communities that advocate your products. Join that of your competitors. – Efficient use of Public Relations and identifying influencers. Look for consumer endorsers and ambassadors and provide them with relevant content to activate a viral distribution of your brand across channels. – More effective organic visibility and an extended brand reach through Search Engine Optimization (SEO). – Reduced market research costs for product development and audience analysis. Listen to consumers, empower them, enable them to take charge and gain benefits while they do. – Reduced hiring and HR costs and less churn. Social Media measurement is not merely about displaying number of tweets, followers, fans or impressions. How you determine your success largely boils down to restating your initial objectives and goals, so try to tailor your metrics accordingly. With this in mind, look for the real value of your online plan by asking for meaningful and concrete results such as user behavior before, during, and after interacting on your social platforms, as well as blog retention rates, audience analysis, the sorting and monitoring of social media conversations, and lead generation data both online and offline. Keep a regular eye on both the frequency and depth of engagement with consumers. The choice is yours: Do you want your ads to interrupt consumer conversations, or do you want to become what consumers are actually talking about? Totally agree. Extra effort and consideration should be put into the evaluation and analysis part; which is not always a given in social marketing. 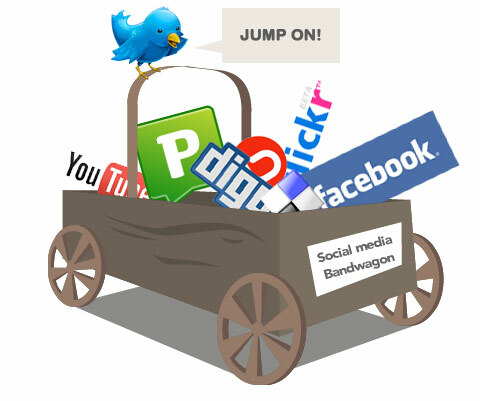 Measuring and analysing should be part of any brand’s winning social marketing plans.